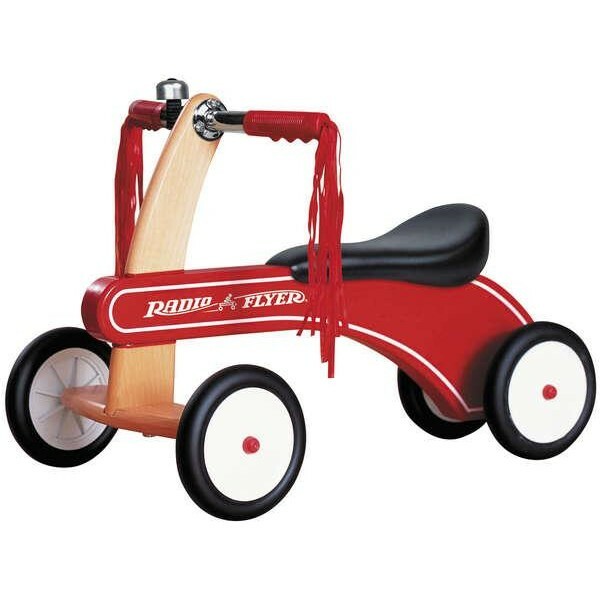 This solid wood tricycle from Radio Flyer is beautifully crafted and very durable. An extra wide front wheelbase, and 4 molded wheels make this trike safe and stable. The chrome handlebars have fitted grip handles, tassels, and a ringing bell. A comfortable padded seat and low center of gravity make this trike fun and safe for little ones. 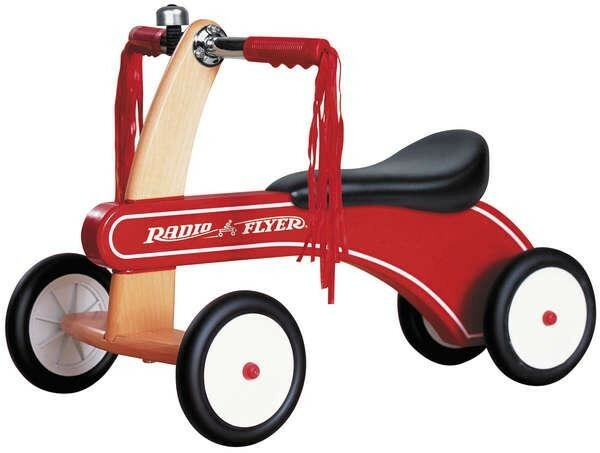 Please note: this is a true toddler trike, designed for 1 - 3 year old children.